Rockland County's Largest Road Race! The Rockland Road Runners’ 5 Mile Turkey Trot for the Marisa Fund has become the largest running event in Rockland County, drawing over 3500 participants from the NY Metro area and beyond. The Turkey Trot also benefits these local charitable organizations: People to People, The Rockland Road Runners Scholarship Fund and The Rockland County Police Hispanic Society Scholarship Fund. Join in the Thanksgiving spirit and bring your non-perishable food items for our annual food drive. All food collected will be distributed by “People to People” to assist needy families throughout Rockland County. 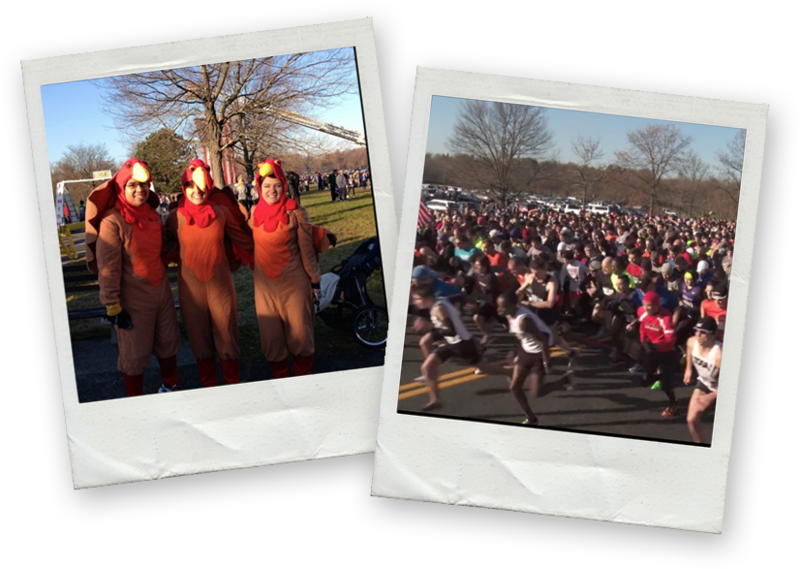 Join us Thanksgiving morning at Rockland Lake for a truly memorable running experience!